Michael Eissenhauer was born in 1956 in Stuttgart and studied art history, classical archeology and German literature in Tübingen and Hamburg. After obtaining a doctorate in the History of Art, he was initially employed in the Germanisches Nationalmuseum in Nuremberg and the Deutsches Historisches Museum in Berlin. From 1995 to 2001 he became head of the Kunstsammlungen der Veste Coburg in Bavaria. From 2001 to 2008 he was Director of the Museumslandschaft Hessen Kassel (former Staatliche Museen Kassel), which under his supervision was restructured and comprehensively renovated. As President of the Deutscher Museumsbund from 2003 to 2009, he additionally represented the interests of over 6,000 museums in Germany. 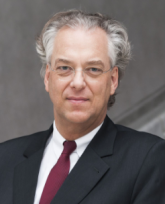 Since 2008, as Director-General of the Staatliche Museen zu Berlin (National Museums in Berlin), he has been responsible for the largest network of museums in Germany, comprising 15 collections and four institutes. The collections cover European and non-European art, archaeology and ethnology. Together with the Staatsbibliothek, the Ibero-amerikanisches Institut and the Staatliches Institut für Musikforschung mit Musikinstrumentenmuseum they are part of the Stiftung Preußischer Kulturbesitz, one of the world’s major cultural organisations.